Japan just powered up the world’s most powerful laser, a monster that shines a 2-petawatt pulse of light. The pulse lasted only one picosecond, or a trillionth of a second, but during this brief time frame the laser definitely concentrated a phenomenal amount of power. 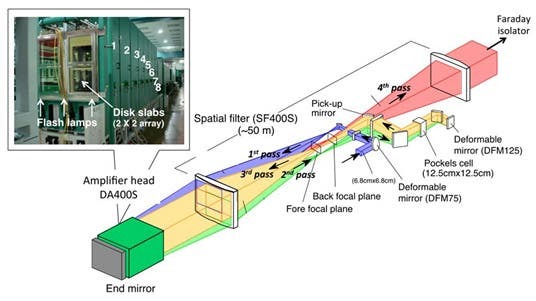 The laser was designed by Japanese researchers at Osaka University. It measures 300 feet long and is known as the LFEX, or Laser for Fast Ignition Experiments. In the United States, the most powerful laser is a one-petawatt laser at the University of Texas at Austin. But the energy contained in a LFEX pulse is 100 times higher than that at Austin. Speaking of which, despite the enormous power, the laser eats up little juice. That’s because, as mentioned earlier, the laser was only fired for a fraction of a second. In fact, LFEX used as much energy as your microwave does over the course of two seconds. To generate that much power that fast, the LFEX makes us of a series of glass lamps that amplifies the incoming pulse with each pass. Previously, ZME Science reported about a laser weapon that could blast a car a mile away. The beam was so intense that the car’s metal was vaporized. Consider now the weapon in question was only a 30 KW laser, albeit it fired for a lot longer than a trillionth of a second. Nevertheless, this two petawatt laser could rival the freaking Death Star itself. What’s more, the Japanese aren’t intending to stop here. 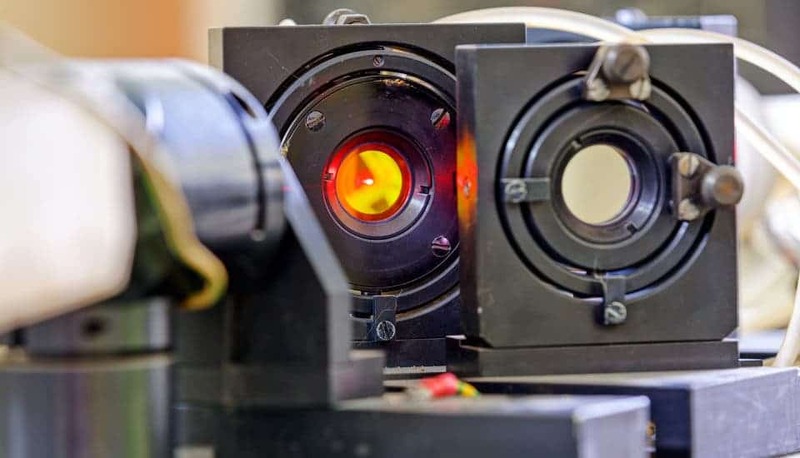 “With heated competition in the world to improve the performance of lasers, our goal now is to increase our output to 10 petawatts,” Junji Kawanaka, an associate professor of electrical engineering at Osaka University, said in a statement. Well, damn! At least, the laser is being used for scientific purposes. For everyone’s sake.